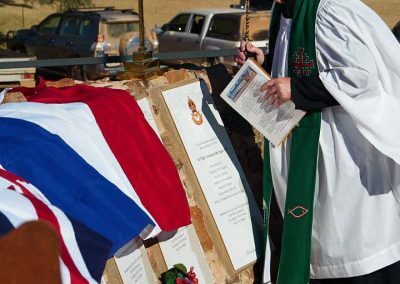 The morning after the Saturday cricket match (Sunday June 18th 2017), a memorial service was held on “the hill” to honour our fallen airmen who were killed when their aircraft crashed in France near the small village of Ploudaneil whilst on a secret rescue mission. 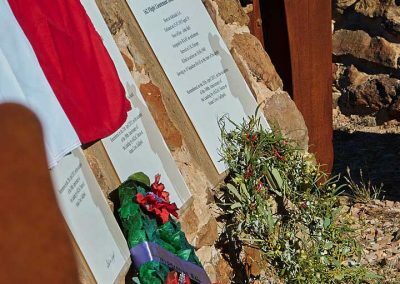 Each year we hold this memorial service to coincide with another service being held in Ploudaneil. 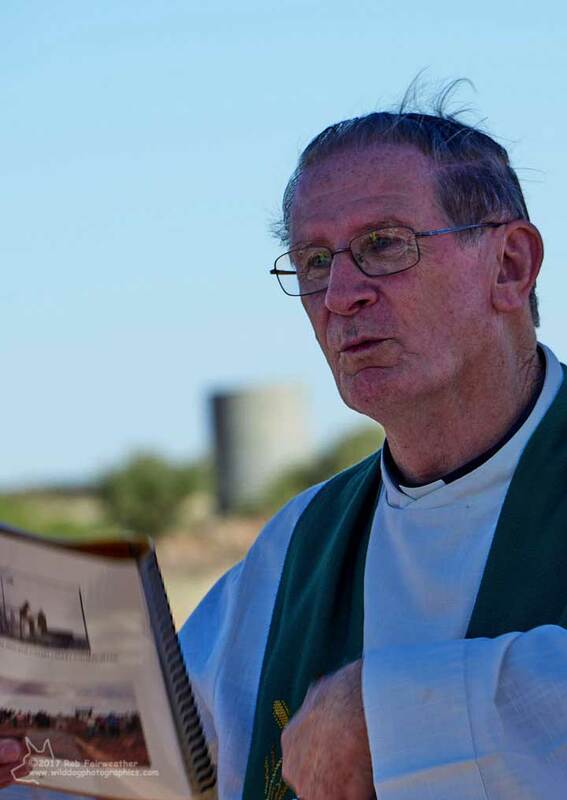 Full details of the rescue mission are available elsewhere on this site. 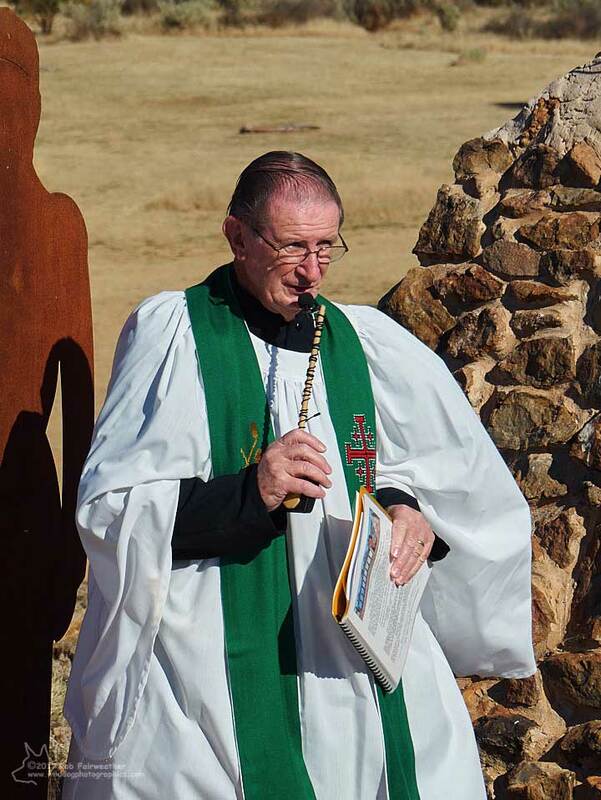 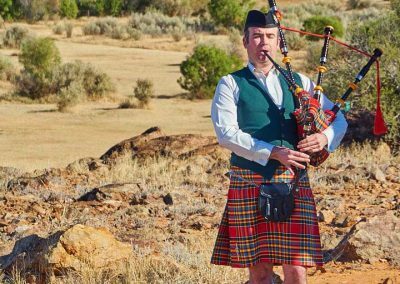 The Reverend Trevor Briggs conducted a short memorial service while piper David Barnard provided appropriate music. 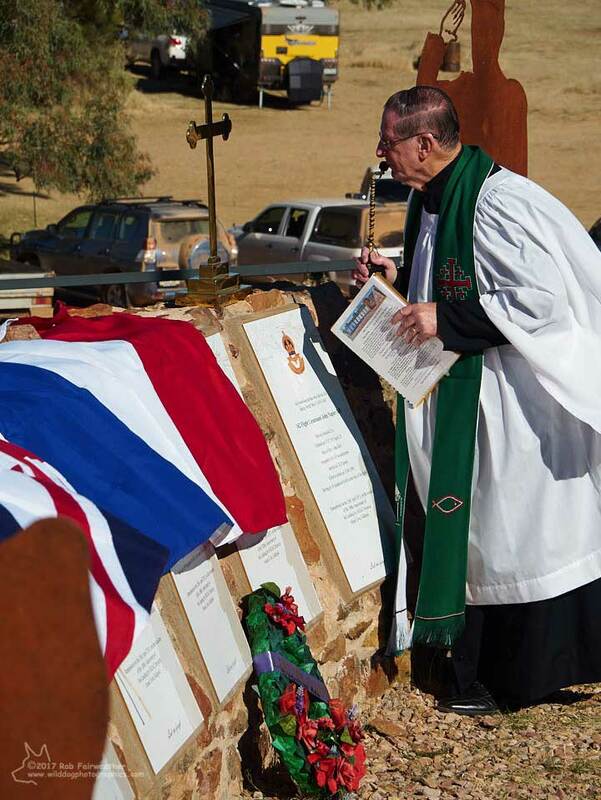 Peter Harris spoke briefly of the memorial service that he and his wife attended at Ploudaneil 2 years ago. 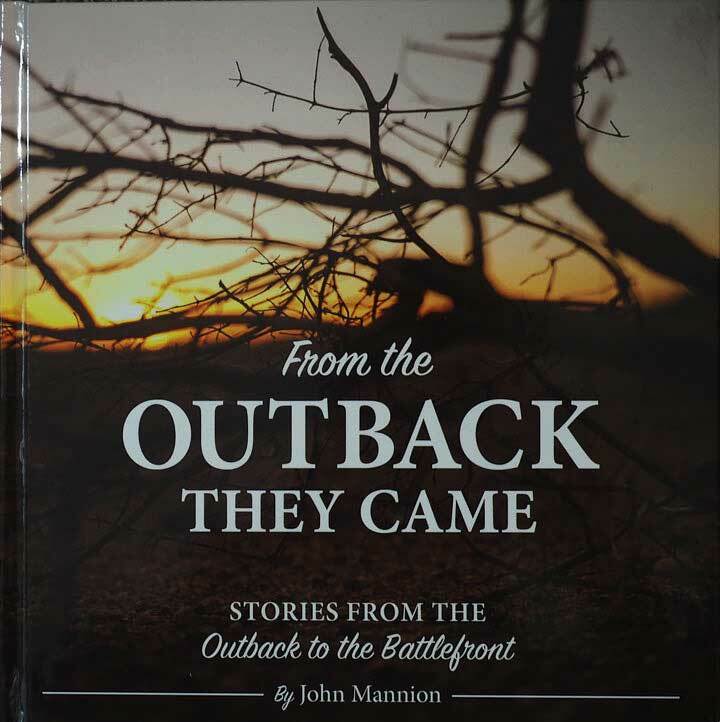 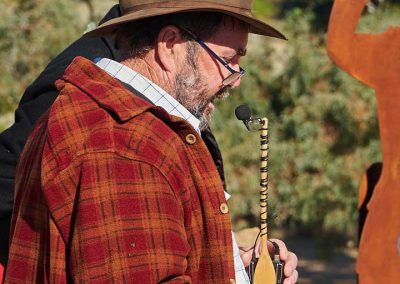 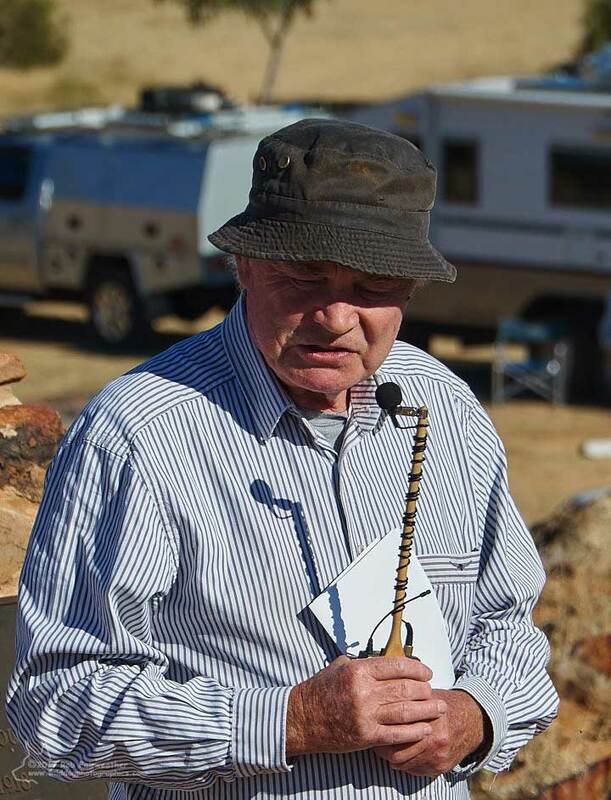 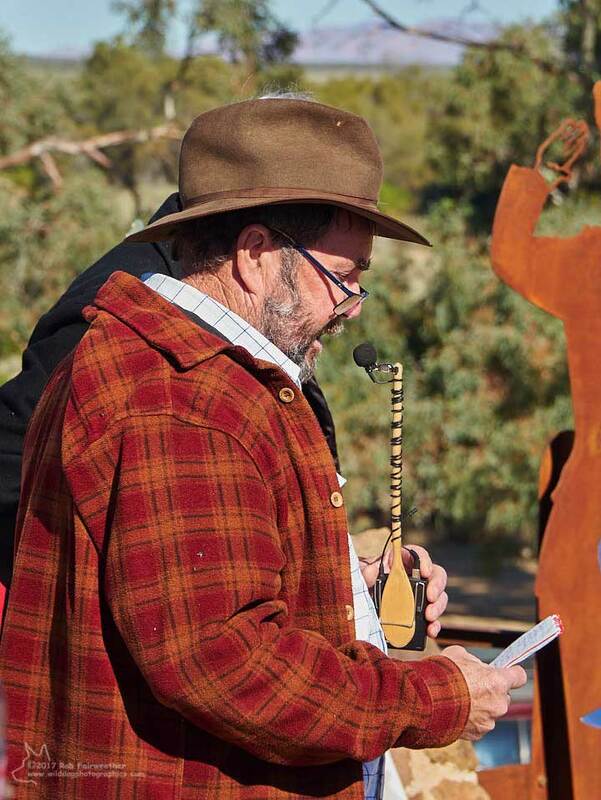 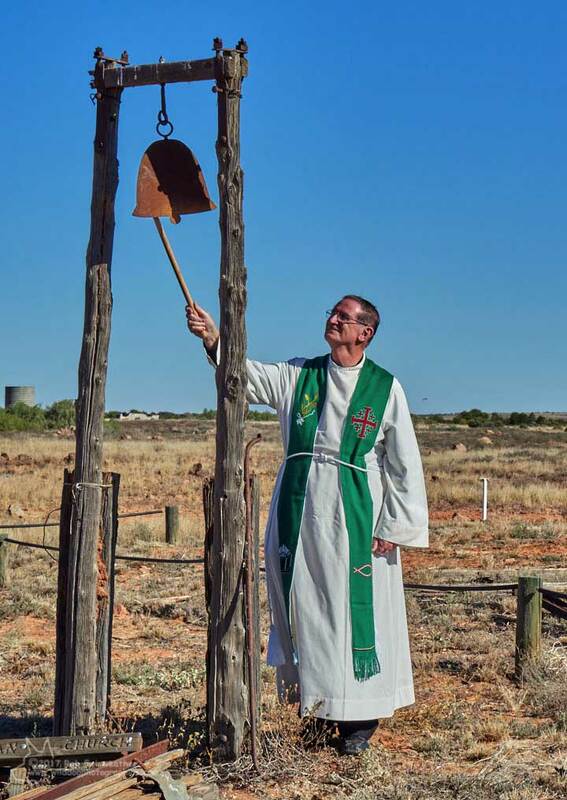 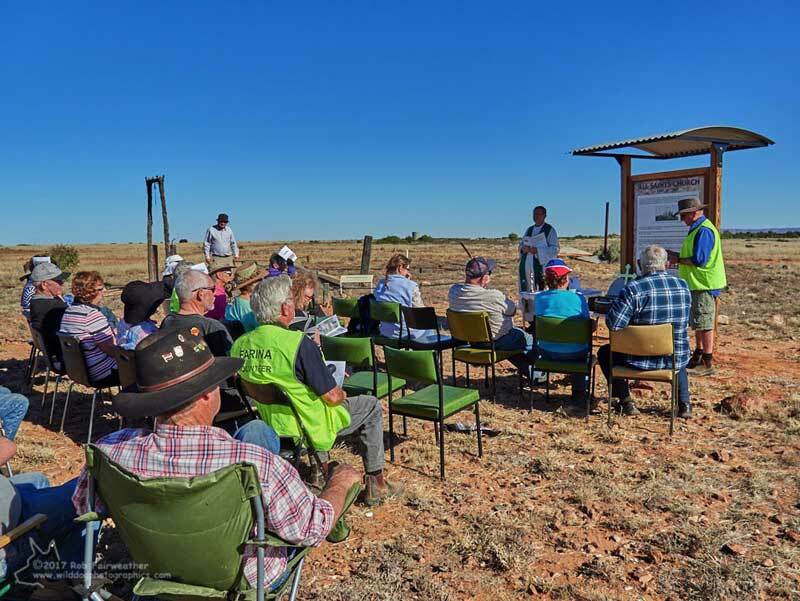 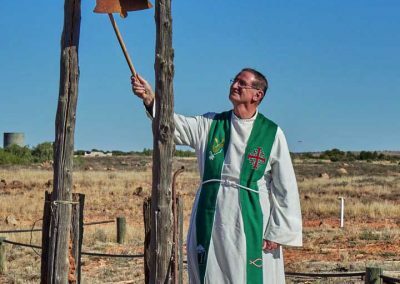 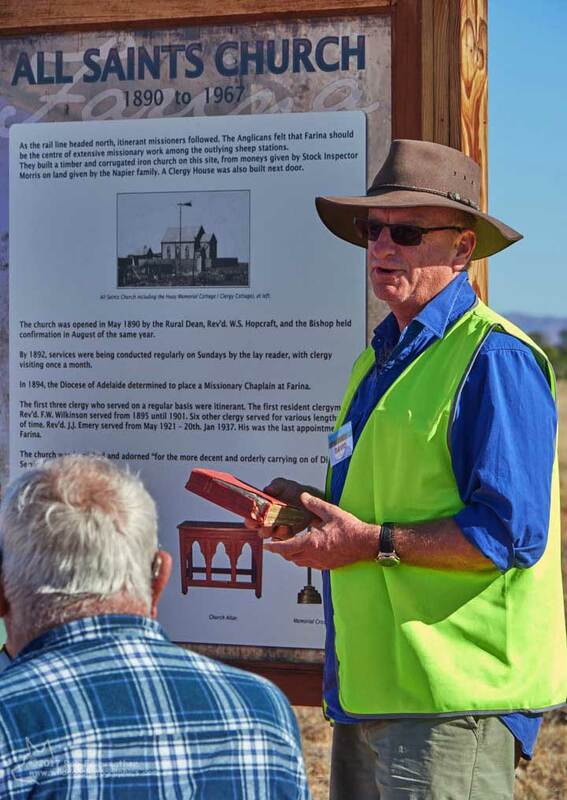 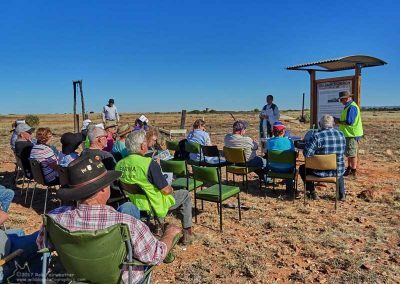 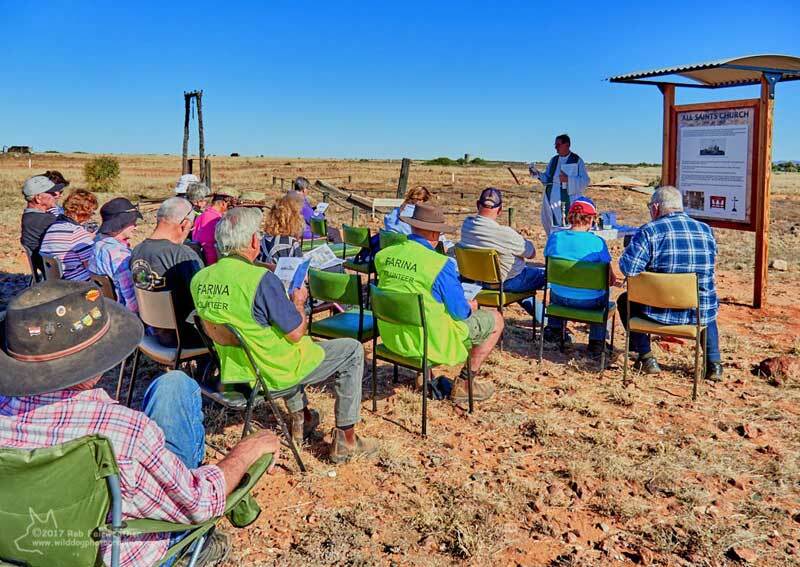 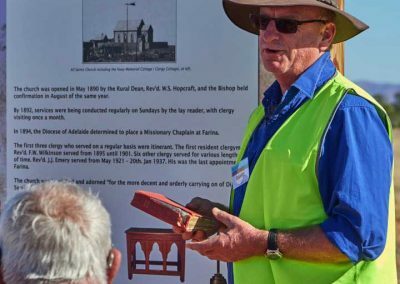 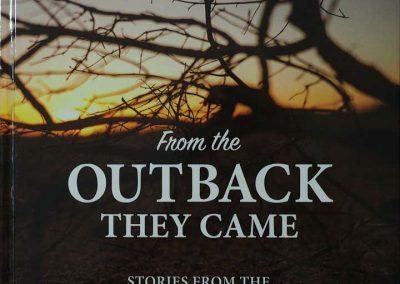 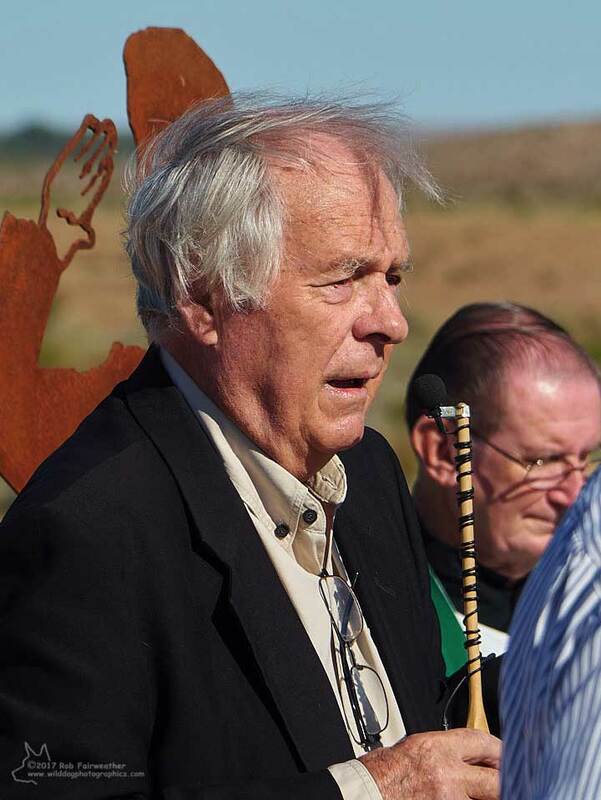 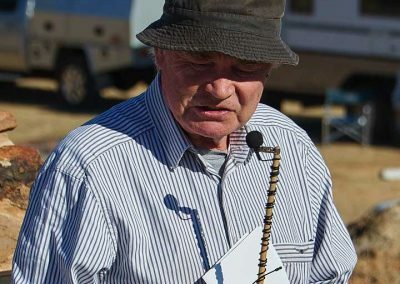 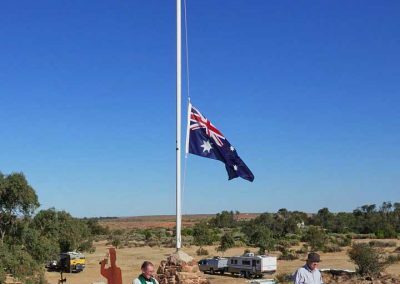 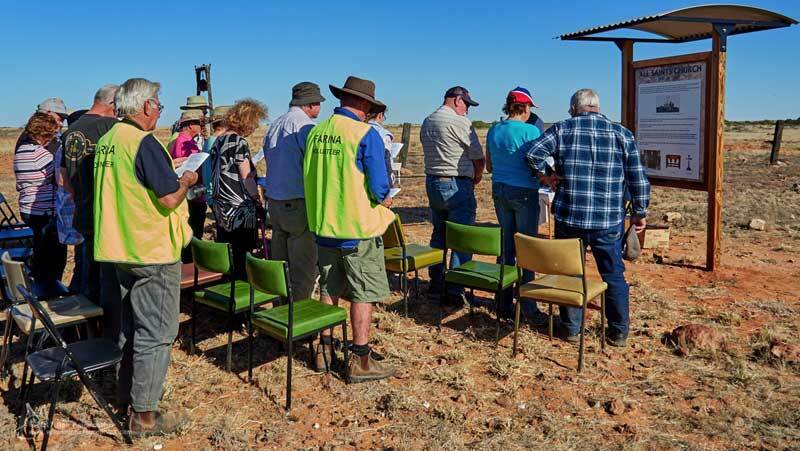 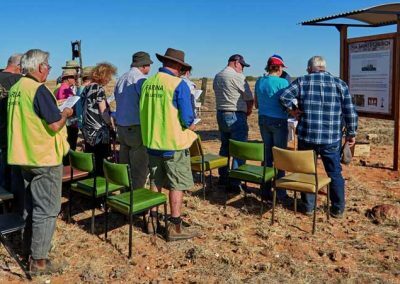 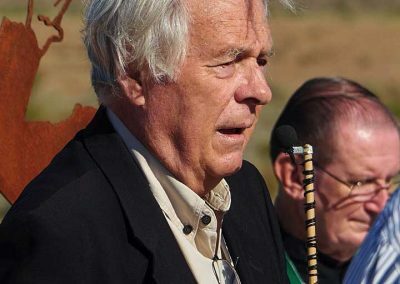 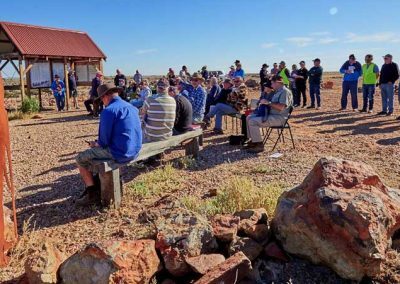 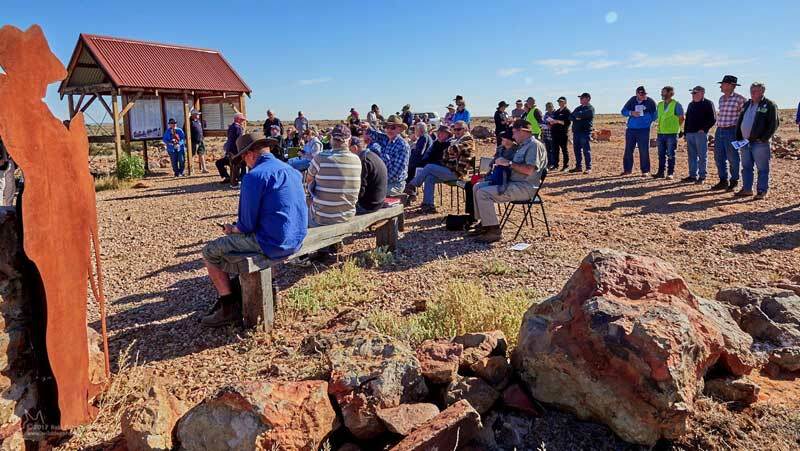 At the end of the service, John Mannion, in conjunction with the SA Outback Communities Authority released his new book which talks about the sacrifices made by many Australians who lived in outback towns and districts during the war, and were never recognised. 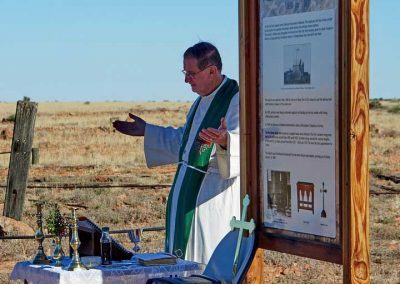 In it’s day, the isolated community of Farina was beset by daily trials and tribulations, and was loosely knitted together by various religious groups. 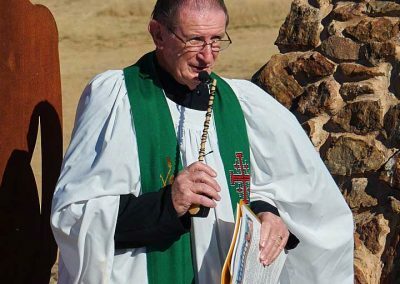 In this small community, both Catholic and Church of England followers built local churches, and the Afghans also built a mosque in their settlement in an area East of the main Farina township – called Afghan Hill. 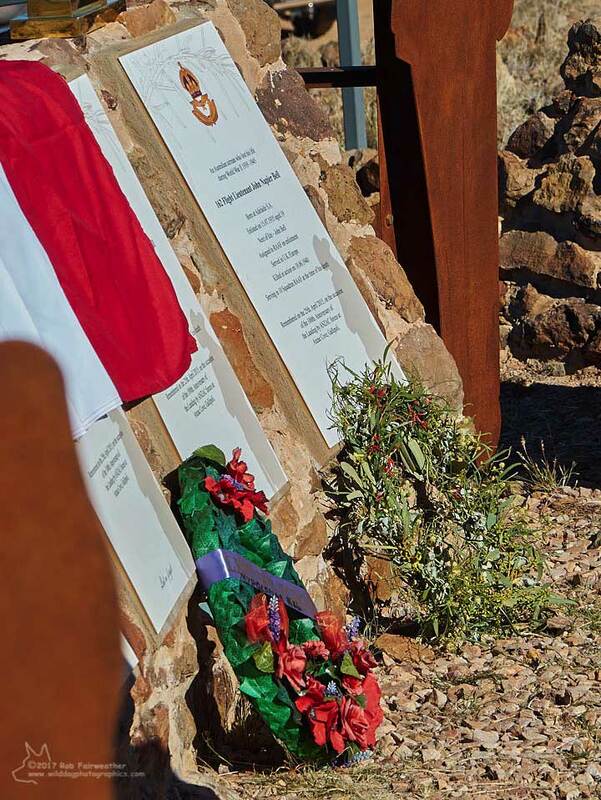 Some reports indicate that Afghan Hill was as large as the Farina township itself, being populated mainly by men, accompanied by only a few women. 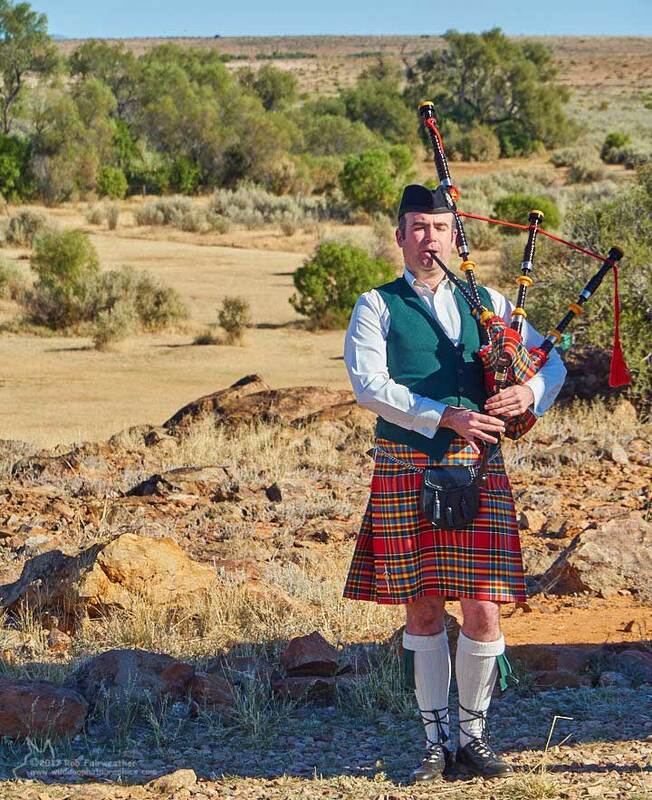 In the main, the two communities lived apart, with only limited mixing. 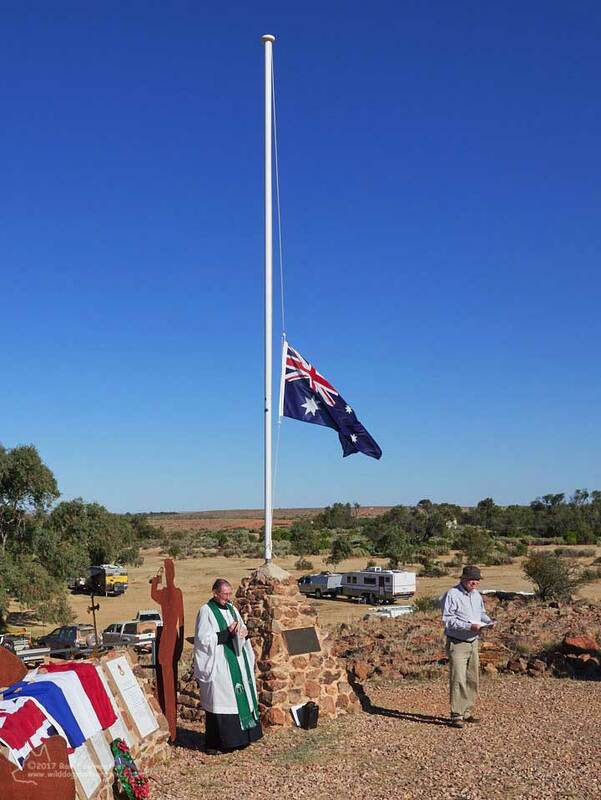 Possibly the only deviation from this rule was that Gool Mahomet and Adrienne Lesire, who had previously been married in the Coolgardie mosque lived together in Afghan Hill, where Adrienne ran a seamstress business which was covertly used by the main township. 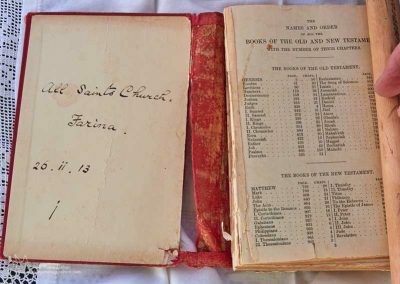 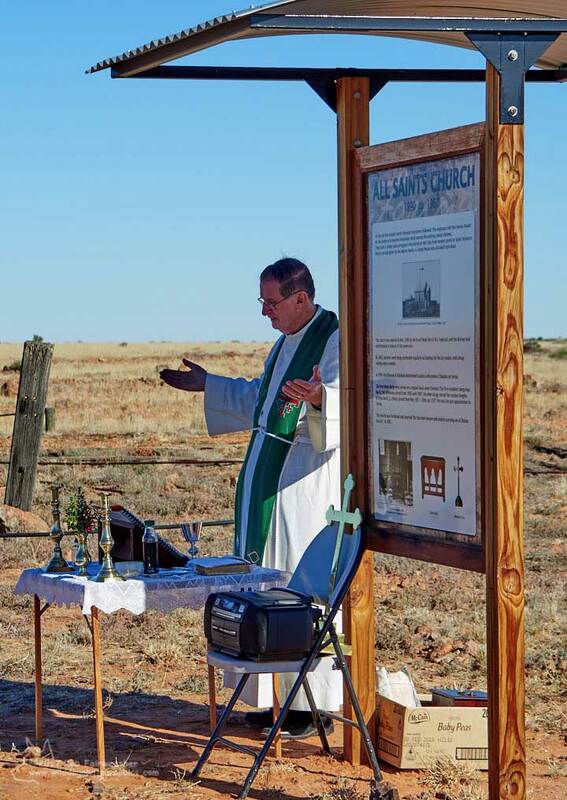 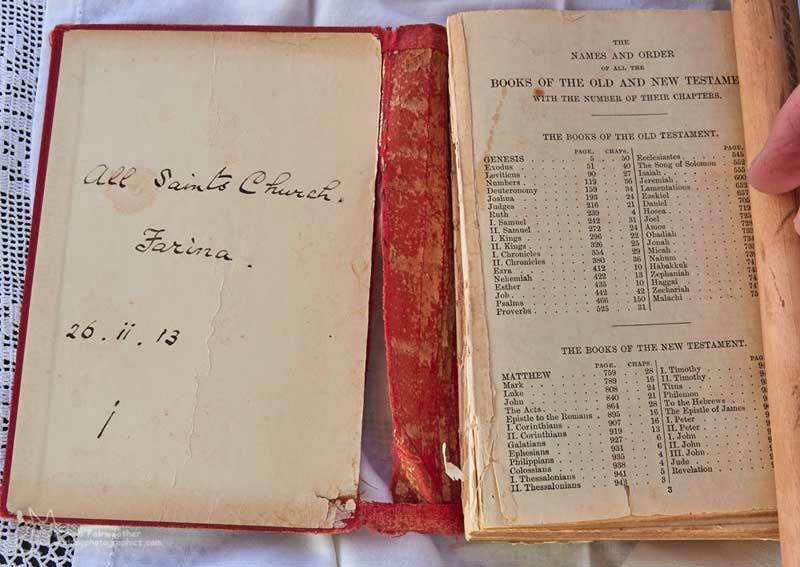 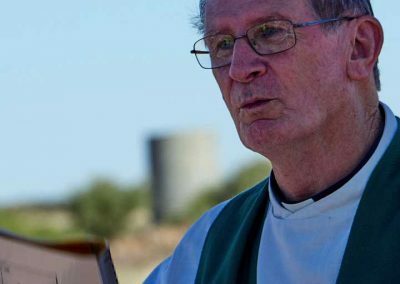 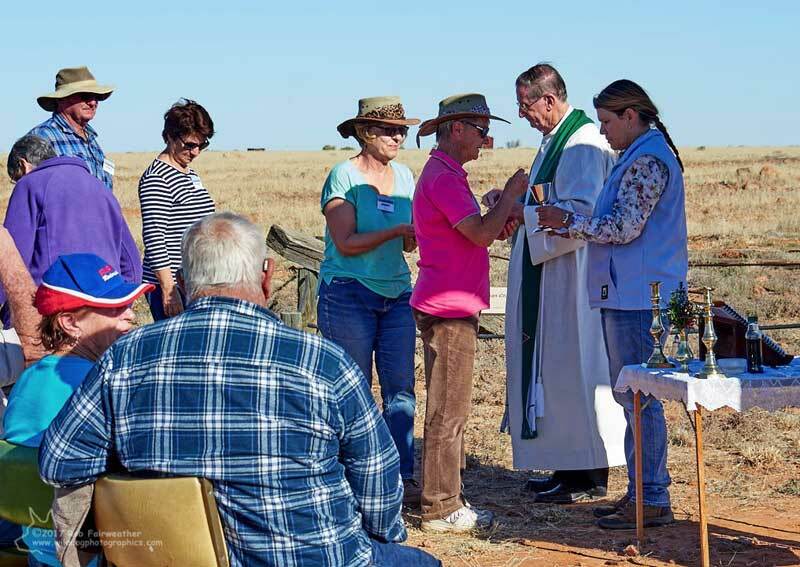 It’s a pity that virtually all of these places of worship have disappeared from Farina, so it was quite a significant event this year, when on June 18th, the Reverend Trevor Briggs conducted the first communion service in the grounds of what was the Church of England since 1967!